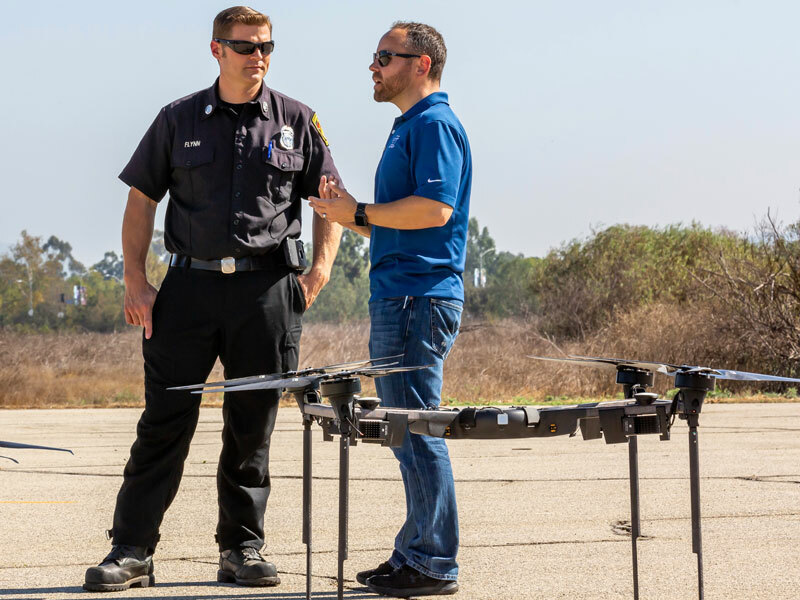 Helinet Aviation, a provider of aviation technology solutions to the law enforcement and public safety markets, recently showcased the latest in tactical video distribution technology to a wide range of clientele including the Los Angeles City Fire Department and LAPD Air Support. 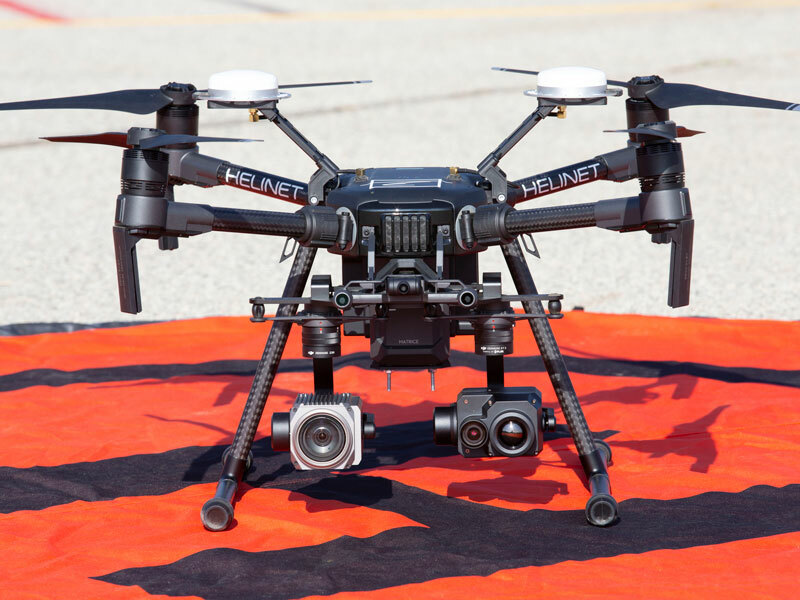 Working alongside SHOTOVER Camera Systems and Churchill Navigation, Helinet equipped one of its state-of-the-art Airbus AStar’s to be one of the first to demonstrate the capabilities of the recently launched SHOTOVER M1 Camera System paired with Churchill’s latest augmented reality mapping system. 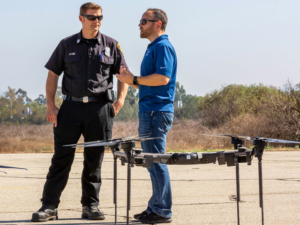 The platform highlighted the many advanced capabilities available to stations, agencies, and search and rescue teams, who are regularly asked to quickly navigate to, locate and identify ground locations, objects and people during fast-moving aerial assignments. 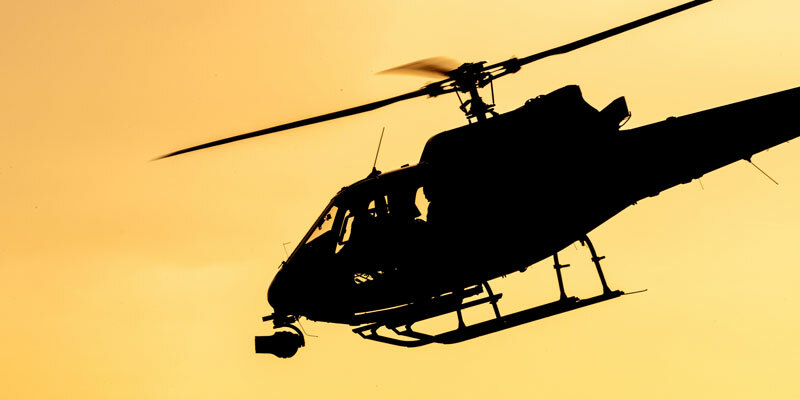 Helinet coupled the demonstration with real-time transmission of the detailed HD information through a robust point-to-point wireless video transmission network, which then provided mission critical situational awareness to all of the observing ground personnel. Multiple unmanned aerial solutions were also put to the test including a specialized tethered hexacopter acting as a communication platform for MIMO bi-directional data transmission of video, GPS and communications. Real-time low-latency imagery was streamed from DJI’s latest first responder dual-payload equipped quadcopter, which features FLIR thermal imaging with MSX visual overlay and a 30x zoom daylight camera. This system showcased low-altitude persistent surveillance capabilities not achievable by manned air assets. 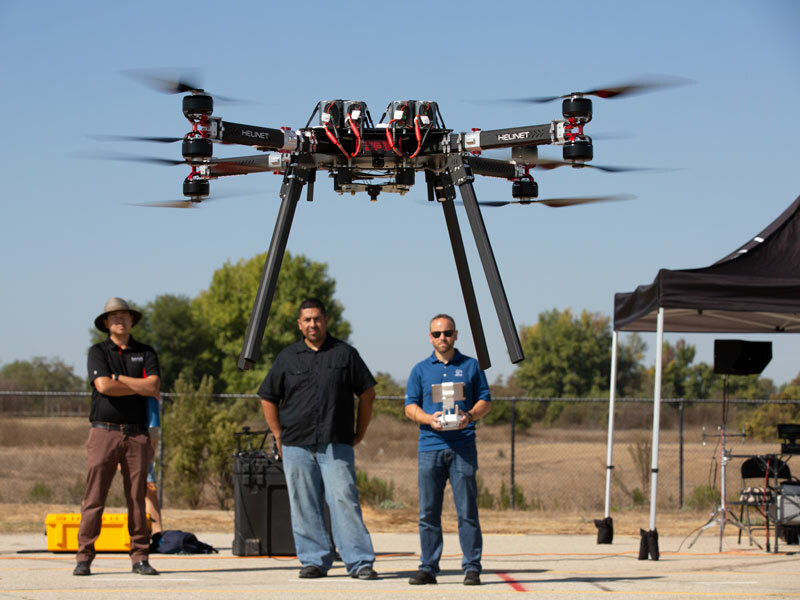 Helinet paired the aerial vehicle with a rapidly deployable high-speed HD video and data transmission package, to demonstrate the value of a robust network independent of current wireless infrastructure, that is designed to deliver reliable transmission and communication capabilities in remote locations and during critical incidents and natural disasters.